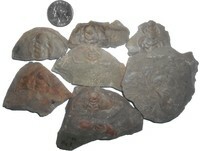 Shop > Categories > Your Recent Finds > Trilobite? ID? Hi all, just visited california quarry in Cornwall, and may have found a tail section of a trilobite. Hopefully i'm not just looking at something that looks similar to a trilobite tail, but i'll leave that to the experts on here to decide. Also any further info about finding trilobites at this location would be great. Thanks for the help. Lower section in photo is the positive, sorry no ruler on me at the moment but the possible fossil is about 8mm at widest point. Thanks for the replies, sounds like a good excuse for a trip to Bedruthan steps. Great to hear that its part of a trilobite - my first one! Many blocks were split with little clue of the best way to find something, at the point of giving up a slightly darker looking slab was split and there it was. Guess it was pure luck! If there is any more info anyone can provide that would be great, would really like to see an image of a complete one found from this location. Although the photo is small and unclear, I would suggest that it is a cephalon of a trilobite. What is the geological age of the location in which you found it? If it is later than the Permian, it can't be a trilobite. 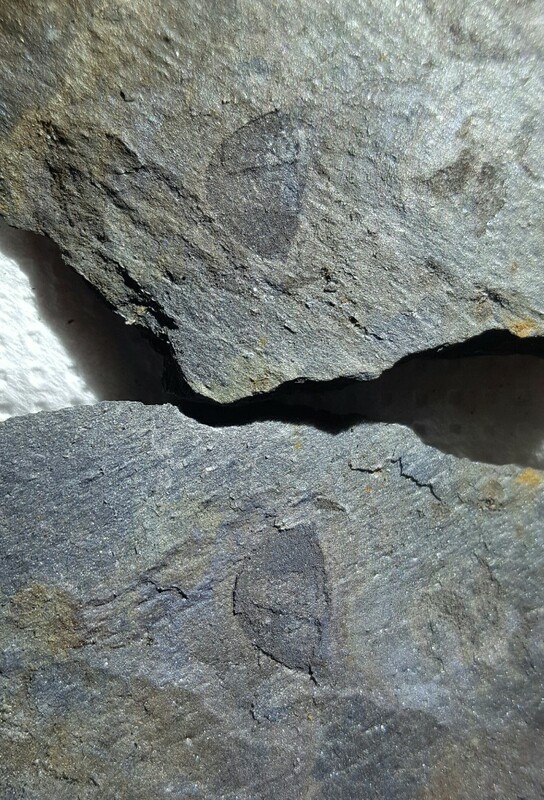 For reference I have attached one of my own specimens from the Early Cambrian of Marble Mountain, California (Olenellus Clarki and Olenellus Fremonti). Hi Gerald, as i understand it the rocks are upper Devonian to lower Carboniferous 385 - 327mya. Those specimens of yours look interesting, thanks for sharing.